November 24, 2009 - A criminal complaint, unsealed, charged Dani Nemr Tarraf with conspiring to acquire anti-aircraft missiles (FIM-92 Stingers) and conspiring to possess machine guns (approximately 10,000 Colt M4 Carbines). In addition, Tarraf and other defendants—including Douri Nemr Tarraf, Hassan Mohamad Komeiha, and Hussein Ali Asfour—were charged with conspiring to transport stolen goods. Dani Nemr Tarraf and Ali Fadel Yahfoufi were charged with conspiring to commit passport fraud. “Keeping missiles, machine guns, and other sensitive U.S. weapons technology from falling into the wrong hands is one of the Justice Department’s top priorities. I applaud the many agents, analysts, and prosecutors who worked tirelessly to bring about these charges and arrests,” said David Kris, Assistant Attorney General for National Security. According to the complaint, Hassan Mohamad Komeiha began purchasing purportedly stolen cellular telephones from a law enforcement officer acting in an undercover capacity (the “UC”) in or about June 2007. Over the next several months, Komeiha and his co-conspirators [Dani Nemr Tarraf, Douri Nemr Tarraf, and Hussein Ali Asfour] purchased purportedly stolen goods from the UC, including cellular telephones, laptop computers, Sony Play Station 2 systems, and automobiles. The complaint also alleges that Dani Nemr Tarraf conspired to acquire anti-aircraft missiles and conspired to possess machine guns. According to the complaint, in or about mid-June 2009, Tarraf asked whether the UC could supply guided missiles and told the UC that he (Tarraf) wanted the UC to export approximately 10,000 “commando” machine guns [Colt M4 Carbines with short barrels] from the United States. 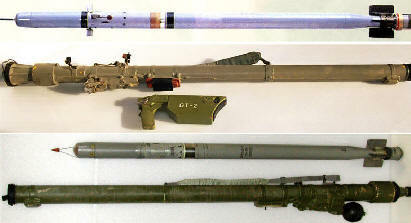 On or about July 28, 2009, in Philadelphia, Tarraf paid the UC a deposit of approximately $20,000 toward the cost of purchasing FIM-92 Stinger missiles and approximately 10,000 Colt M4 Carbines and shipping these items outside the United States. Finally, the complaint alleges that Dani Nemr Tarraf and his assistant, Ali Fadel Yahfoufi, conspired to commit passport fraud. In furtherance of their scheme, Yahfoufi provided passport photos of himself to the UC, Tarraf agreed to pay the UC to obtain a United States passport in Yahfoufi’s name, and Yahfoufi instructed the UC to submit false information to the United States government in a passport application. This case was investigated by the Federal Bureau of Investigation’s Joint Terrorism Task Force, the New Jersey State Police, U.S. Immigration and Customs Enforcement, the Internal Revenue Service, the United States Secret Service, Defense Criminal Investigative Service, the Philadelphia Police Department, the Department of Commerce, Customs and Border Protection, the Bureau of Alcohol, Tobacco, Firearms, and Explosives, the Federal Air Marshals, Pennsylvania State Police, and the Department of State.